The elusive recordings of The Flu – the first collaborative project of Skinny Puppy’s cEvin Key and the late Alan Nelson, later to be known as Hilt – have been rediscovered and are soon to be released as a limited edition double vinyl reissue via Artoffact Records. Originally available only as self-distributed cassettes in 1987, the recordings feature vocals set against a mix of analog and electronic instruments, live singing cats, and recordings from tele-personals; they were set off to Swedish startup label Osmium Records, which folded shortly afterwards. The duo never heard anything else from the label, and the masters were presumed lost forever. 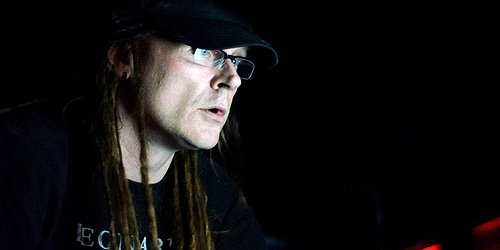 Dwayne Goettel, Key’s band mate in Skinny Puppy, then joined the pair, then adopting the name of Hilt. In 2013, an official cassette release was discovered by a pair of fans, which spurred a hunt for the masters, which were found in 2014. 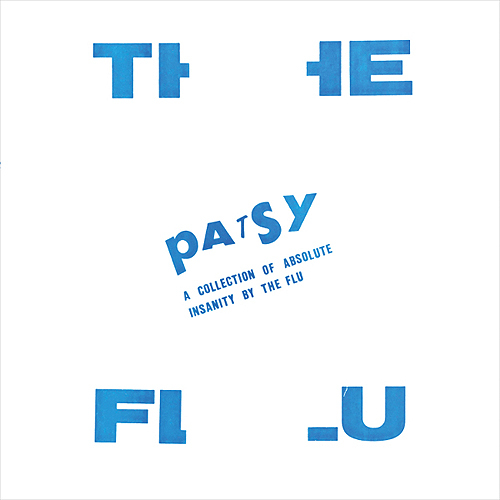 Patsy: A Collection of Absolute Insanity was then specially mastered for vinyl from those original masters and will be available in black, red, and clear effect vinyl. In addition, Artoffact will be reissuing three other projects from Key. 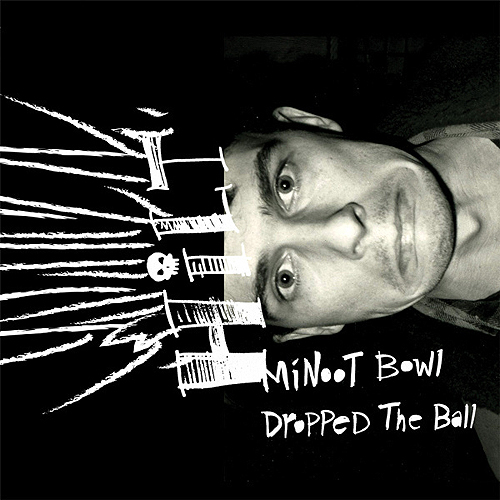 Minoot Bowl Dropped the Ball, the out-of-print 2007 album from Hilt will be released in black, brown, and brown splatter vinyl editions. 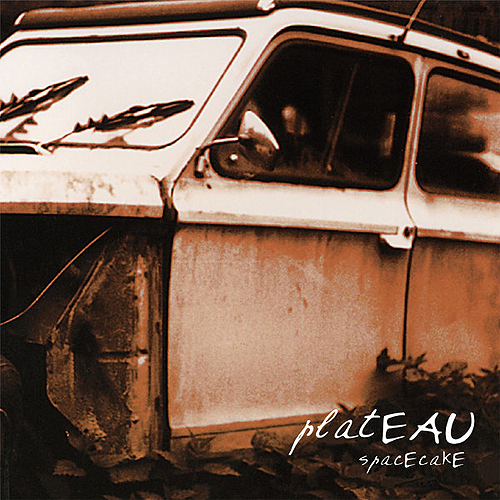 As well, Spacecake, the acclaimed 1999 album from plaTEAU – the longstanding collaboration between Key and Phil Western (Download, DJ Philth, Frozen Rabbit, KONE) – will be released for the first time on vinyl; the album will be available in black, orange, and brown and yellow half/half effect vinyl editions. Guests on Spacecake include Tim Hill (Frozen Rabbit) and kaRIN (Collide). An extremely limited edition of 11 test pressing fan packs including the colored versions and test pressings of all three albums plus Yo Pusface, the only release from cEvin’s one-off industrial hip-hop project Lee Chubby King, is also available. 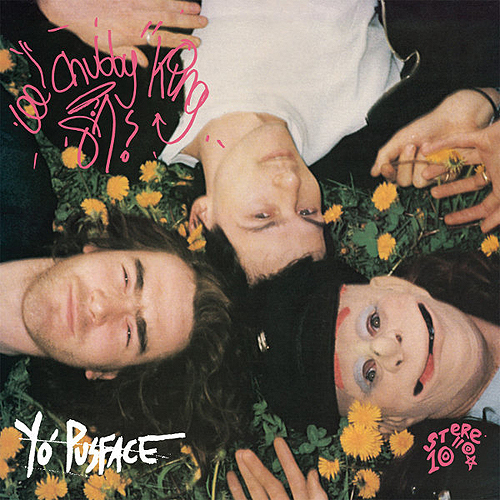 Yo Pusface included Alan Nelson, Dwayne Goettel, and drummer Lee Salford, and will also be available in black, yellow, and black and white half/half effect vinyl. All albums, which will also include a digital download card, are expected to be released on March 30, 2018, and are available for pre-order now via Storming the Base.